Easter is Sunday, April 21, 2019 this year. 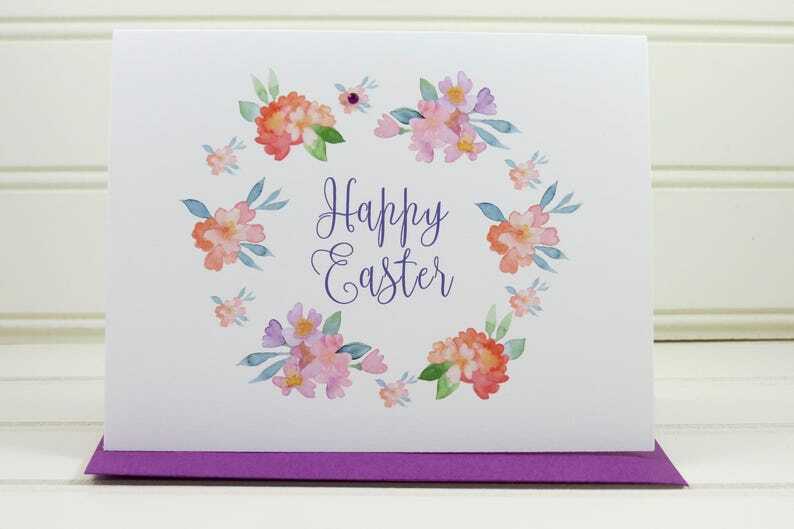 This charming and colorful Easter card is perfect to give to one of your church friends or family members. This card can be fully customized and personalized at no extra charge and also includes a free matching colored envelope, round envelope seal, and a U.S. Forever postage stamp. On the front of the card, there is an illustration of a floral wreath bouquet with the message "Happy Easter". The card measures 4.25” x 5.5” when folded and is blank on the inside.